Footy Show co-host Sam Newman has again managed to offend. 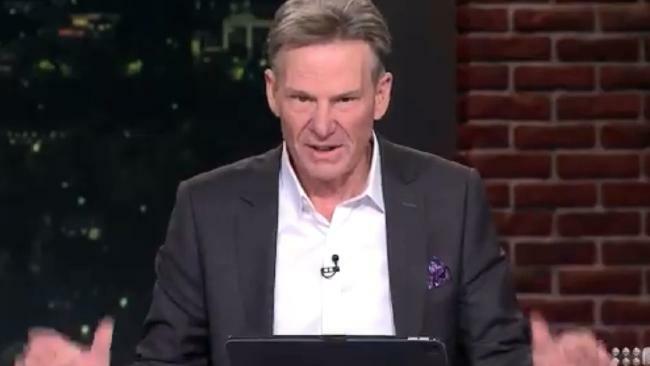 FOOTY Show co-host Sam Newman has doubled down on his controversial Muslim immigration comments and insisted he didn't intend to cause any offence. The 72-year-old told The Footy Show panel he still believed the AFL had angered many supporters by force-feeding fans "a political lecture or political agenda" at the footy. In the wake of Senator Fraser Anning's debut parliamentary speech last week, Newman told his Sam, Mike and Thommo podcast earlier this week that he had concerns surrounding what he said was the Australian Muslim community's failure to "nationalise" - creating a divided community. 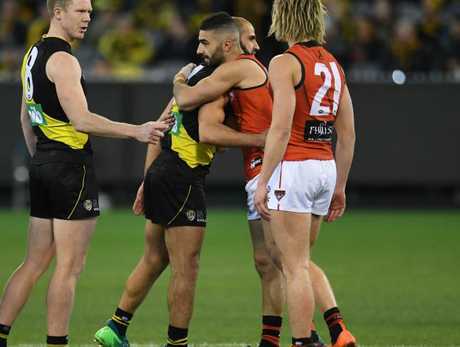 His comments centred around Richmond and Essendon's initiative to have Australian Muslims Adam Saad and Bachar Houli embrace during the toss off the coin before Richmond's win over the Bombers at the MCG last Friday. Newman's views on the coin toss sparked heated debate on social media this week and prompted him to address the issue again on Thursday night's program. "I have been the focus of some pretty inaccurate commentary, this week about comments I made about the AFL inserting themselves into the political narrative of the day," Newman said. "This is my opinion. I don't think they should be involved in doing that. "When you consider that 50 per cent of the electorate has one political view and the other by the virtue of politics has the other view - as opposed to them (the AFL) possibly thinking they're being virtuous, I think they are being divisive. "I just don't think people who go to the football want to have a political lecture or political agenda given to them. "They just like to go and watch the football." 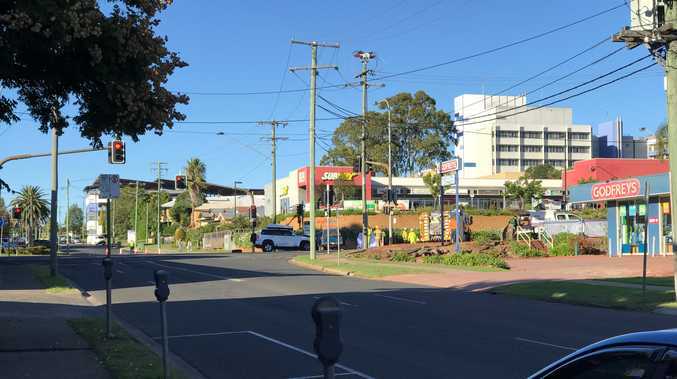 Despite declaring on the podcast that the Australian Muslim community shares "no common interests with what we're on about", Newman insisted he did not intend to cause any offence. "I never intended to be offensive to anyone, it was just my opinion on the AFL getting into a political commentary on our game, which I don't think they should," he told the Channel 9 show. He said the actual target of his podcast rant was the AFL administration. He said the AFL has routinely put half of its fan base offside by taking a public stand on complex societal and political issues. "When you insert yourself into the political arena to lecture people on their politics and to tell people what they should be thinking, then you make a rod for your own back," Newman said. "Because you then invite people to disrespect the flag, the anthem and the nation by doing what the NFL do in America and that's to sit down or take a knee and it shows that you aren't patriotic and it becomes a hornet's nest. "Keep out of our minds ... let people go to the games and not be lectured on politics by the AFL, the NRL, the basketball or anyone else. "People do not want to be told what they should think." He earlier described Muslim immigration as a "huge problem" in Europe and America. "They don't generally nationalise, they colonise," Newman said. "There are 600,000 Muslims in Australia, they share no common interest with what we're on about. "They have no common values, they preach to a different deity, god. "This has been a huge problem in Europe and it's beginning to be a huge problem in America." Veteran AFL scribe Mike Sheahan, a co-host on the Sam, Mike and Thommo podcast, told SEN Breakfast on Friday, Newman's rant hadn't surprised him. "I've known Sam for 40-odd years and I don't get surprised by Sam anymore," he said. "That's consistent with his view. I was surprised that he was as adamant as he was about the depth of support for Fraser Anning. But his view about the Muslim community and immigration generally didn't surprise me. "The other thing that Sam didn't know and that I didn't know at the time, is that the Bachar Houli-Adam Saad exchange was a Richmond initiative, it wasn't the AFL."